Friends Funny Tug Of War On The Beach Under Sunset Sunlight. Royalty Free Fotografie A Reklamní Fotografie. Image 49937707. Reklamní fotografie - Friends funny tug of war on the beach under sunset sunlight. 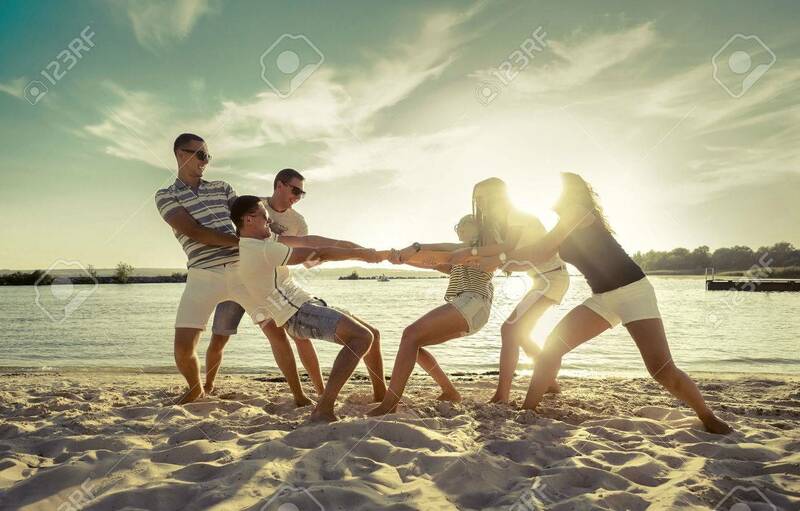 Friends funny tug of war on the beach under sunset sunlight.